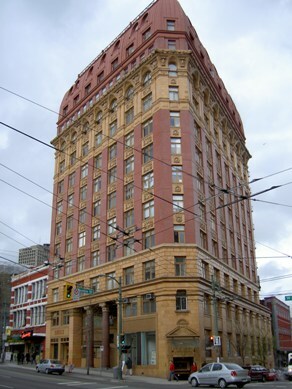 We think the Domining Building is one of the coolest buildings in Vancouver. It was built in 1910 and it was the tallest building in the British Empire at the time. There’s a mid century furniture shop, Metropolitan Home nearby and the shop is going to move into the ground floor of the building this month. I went to the office at 7am and I had to go to many places all day today. I am feeling so groggy. I am going to Victoria tomorrow with friends. We are going to cycle there but it looks like it’s going to rain so we might just take a car. Have a good weekend, everybody!